Among the Fernungs’ numerous success stories is Eileen’s Moment. 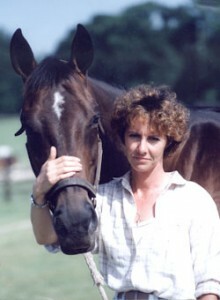 Brent purchased Eileen’s Moment, the dam of Lil E. Tee just months before that horse won the 1992 Kentucky Derby (G1). 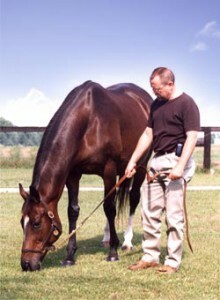 In 2001, Fernung as agent for Cloverleaf Farm, purchased the mare I’ll Get Along. I’ll Get Along’s weanling of that year was Smarty Jones, the 2004 winner of the Kentucky Derby and Preakness Stakes (G1). In November of 2004, Fernung, as agent, sold I’ll Get Along for $5,000,000 at public auction, the highest-priced broodmare to sell in the world that year. While working for Cloverleaf, Fernung also arranged the purchase of and managed Congrats, the leading first crop sire in North America in 2010; he also purchased the dams of graded stakes winners Crown of Thorns, Bsharpsonata, Backtalk and Diva Delite, among numerous others. At Journeyman Stud, the Fernungs have developed the sensational Wildcat Heir, a record-setting Florida sire. The Sunshine State’s perennial leading sire, Wildcat Heir is the only stallion in Florida history with $4 million + in progeny earnings five years in a row. Brent currently serves as first vice president on the board of the Florida Thoroughbred Breeders’ and Owners’ Association, is a member of the board of directors of the Ocala Breeders’ Sales Company and is an Executive Committee member of the Ocala Thoroughbred Racing Association. He was named the 2004 Florida Farm Manager of the Year. Copyright © 2015 Journeyman Bloodstock Services, Inc. All rights reserved.